For as long as I can remember in school, I was told the same thing about how all life on earth began and evolved: "Yes, there are challenges. 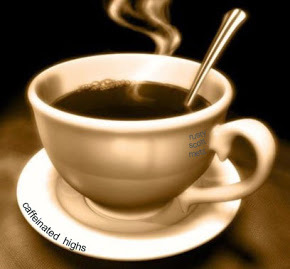 Yes, there are improbabilities - if not impossibilities - needed to be overcome. But, trust the scientists who agree that given enough time, anything can happen." That's what I heard in high school biology and in college. That's what we're told in the media, and from about everyone else in our society. The modern theory of Darwinian Evolution is now accepted on a mass scale, and if you're one of the few who believe something to the contrary, you are looked at as though you believed the earth were flat. I'm not kidding - this comparison was made by my college professors. "Evolution is not JUST a theory," they say. I discovered then that all major proponents of Darwinian Evolution are aware of the holes in their philosophy, and are secretly hoping no one will notice that their worldview just can't hold water. I still vividly remember my Biology 101 course where on the first day of class, my professor took the time to explain to us: "This course is entirely about Evolution, and everything we will discuss will go back to Evolution. Evolution is true, and it is a theory just like our current understanding of gravity is a theory - which means it's a fact." These words were pretty intimidating to me as an 18 year old freshman, but I did something way back then that still makes me chuckle ... after that first lecture I approached my professor's desk, introduced myself, then told her that I didn't believe in Evolution. I provided some of my reasoning, and indicated that it would be up to her to convince me by the end of the course. She took up the challenge by stating that it would be no problem for her because Evolution is provable on many levels. Spoiler alert: by God's grace I passed. But as I progressed through the material, I began to realize some important shortcomings in the modern theory of evolution. The first is that the explanations for the origin of life were (and still are) pretty laughable. I'm sorry, but the theories about non-life spawning life near a volcano, in a soup-like substance, maybe / maybe-not being struck by lightning, embarrasses me. And these theories embarrass scientists too. What's worse is that we can't seem to replicate the process in the laboratory under perfect conditions and odds that we control! Secondly, we look at the similarities between lifeforms and determine that because Evolution can happen on a micro level, and does produce new species, we take the leap that greater useful complexity arises through natural selection! They don't stop with new species evolving, they must insist that new organs, new functions, and new kinds of lifeforms are developed through this process. Textbooks have cute little cartoons to demonstrate new developments, but don't explain *how* this happens. As I handed in my final exam I leaned in and whispered to my professor: "I wasn't convinced..." She looked at me, smiled, and nodded. 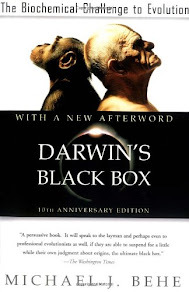 Not too long ago, I finished reading one of the classic books against Evolution: Darwin's Black Box: The Biochemical Challenge to Evolution by Michael Behe. He and I don't see eye to eye on many things, but I would highly recommend this book to help refine your understanding of why Evolution is a flawed theory. He approaches the subject differently than many non-evolutionists do, for example, he doesn't argue from the fossil record. Instead, he argues that the fatal flaw in Darwinian Evolution is that they can't explain their theory on a molecular level. "Anatomy is, quite simply, irrelevant to the question of whether evolution could take place on the molecular level. So is the fossil record. It no longer matters whether there are huge gaps in the fossil record or whether the record is as continuous as that of U.S. presidents. And if there are gaps, it does not matter whether they can be explained plausibly. The fossil record has nothing to tell us about whether the interactions of 11-cis-retinal with rhodopsin, transducin, phosphodiesterase could have developed step-by-step." (pg. 22). "It is now approximately half a century since the neo-Darwinian synthesis was formulated. A great deal of research has been carried on within the paradigm it defines. Yet the successes of the theory are limited to the minutiae of evolution, such as the adaptive change in coloration of moths; while it has remarkably little to say on the questions which interest us most, such as how there came to be moths in the first place." (Bold Mine; pg. 28). "By irreducibly complex I mean a single system composed of several well-matched, interacting parts that contribute to the basic function, wherein the removal of any one of the parts causes the system to effectively cease functioning. An irreducibly complex system cannot be produced directly (that is, by continuously improving the initial function, which continues to work by the same mechanism) by slight, successive modifications of a precursor system, because any precursor to an irreducibly complex system that is missing a part is by definition nonfunctional." (pg. 39). Darwin's Black Box covers 3 powerful examples of irreducibly complex systems that I found very compelling: the eye, blood clotting, and the immune system. Each of these examples are so powerful and persuasive because of everything involved in these systems. I know enough to know that the eye is a remarkable system, so remarkable in fact that there are countless components that comprise its sheer brilliance. Darwinian Evolution would have us believe that the eye developed in slow, gradual changes over time. But the question is rightly asked: what use is a partial eye to natural selection without key components to make it functional? For instance, an eye without a retina is useless, hence the idea that the eye must have arrived in its completed form by a designer. "The result of these cumulative efforts to investigate the cell-to investigate life at the molecular level-is a loud, clear, piercing cry of "design!" The result is so unambiguous and so significant that it must be ranked as one of the greatest achievements in the history of science. The discovery rivals those of Newton and Einstein, Lavoisier and Schrodinger, Pasteur, and Darwin. The observation of the intelligent design of life is as momentous as the observation that the earth goes around the sun or that disease is caused by bacteria or that radiation is emitted in quanta." (pg. 233). It is this last idea that I appreciate but must go much further than he does, because Christians don't just believe in some unknown designer who fashioned life's complexity. Rather, we believe in the one and only God of the Bible, the triune God that we worship and love. Now having said that, I believe that there is incredible use in being able to address and discuss Evolution with people in today's society, because almost everyone you meet believes in Darwinian Evolution. People will want some kind of explanation, and this can help to address their concerns so that you can ultimately point them to the gospel of Jesus Christ. Last week I was talking with an atheist friend about the gospel, and the subject of Evolution suddenly made its way into the conversation. He thought, just like most people think, that Evolution is a scientific reason not to believe in Christianity and the Bible. Using some of the reasoning in Behe's book, I was able to demonstrate the unfoundedness of Evolution. 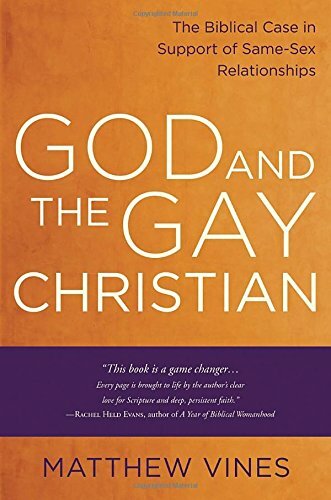 I then immediately made the connection to the reality of God's existence: that the Bible says God has clearly revealed Himself in creation, and in the moral Law written on everyone's heart. My friend didn't like hearing any of this (no sinners do), but Behe is right that molecular biology is shouting at us: "design!" "24 While Paul was saying this in his defense, Festus *said in a loud voice, "Paul, you are out of your mind! Your great learning is driving you mad." 25 But Paul *said, "I am not out of my mind, most excellent Festus, but I utter words of sober truth. 26 For the king knows about these matters, and I speak to him also with confidence, since I am persuaded that none of these things escape his notice; for this has not been done in a corner. 27 King Agrippa, do you believe the Prophets? I know that you do." 28 Agrippa replied to Paul, " In a short time you will persuade me to become a Christian." 29 And Paul said, " I would wish to God, that whether in a short or long time, not only you, but also all who hear me this day, might become such as I am, except for these chains."" (Acts 26:24-29, NASB). One thing is clear: God has revealed Himself to all men everywhere, and requires our repentance. By our love of the Lord and His gospel, and by the love we have for our fellow man, we should be looking for opportunities to make known the great God whom we serve with our whole heart. "10 For we must all appear before the judgment seat of Christ, so that each one may be recompensed for his deeds in the body, according to what he has done, whether good or bad. 11 Therefore, knowing the fear of the Lord, we persuade men," (2 Corinthians 5:10-11a, NASB).